Starring Jason Clarke, Amy Seimetz, Jeté Laurence, Obssa Ahmed, Alyssa Brooke Levine, Sonia Maria Chirila, Hugo Lavoie, Lucas Lavoie, and John Lithgow. Across Stephen King’s extensive repertoire, it can be argued that Pet Sematary is his darkest material; covering the intensity of grief after the loss of a child. Famously adapted in 1989 by Mary Lambert, the new incarnation offers some new twists on the plot, but ultimately misses the opportunity to embrace the darkness. Dr. Louis Creed (Clarke) and his family have moved to the country with their two young children Gage and Ellie (Laurence). Initially their life is idyllic but they soon discover that within the boundaries of their property lies a mysterious burial ground that the locals have dubbed Pet Sematary. After the family cat is killed, Louis and kindly neighbour Jud (Lithgow) take the cat to a secret place and resurrect him. 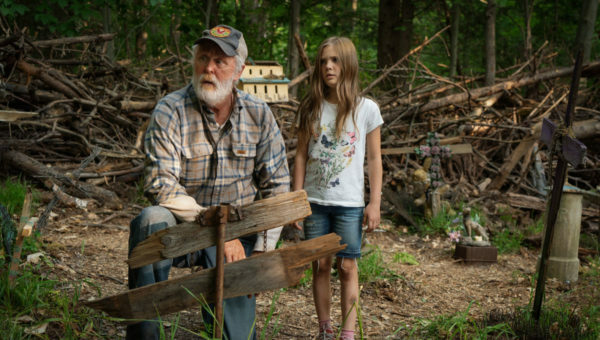 After a family tragedy, Louis uses the Pet Sematary to bring someone back, raising the question – is dead better? It’s difficult to write about this film without revealing spoilers to those who haven’t read the book or seen the original. However, the second trailer revealed a major plot change and if you visit the cinema as much as me it’s been impossible to avoid. Unlike the original where it’s the family’s young son who is killed and resurrected, in this incarnation it is their elder daughter who comes back. This makes for a fascinating change and one that could have propelled this version into new territory. Unfortunately after the masterful build up (which is extremely close to the source material), the third act is horrendously underwhelming and feels rushed after such a suspense filled beginning. Whether I would have had this feeling had I not seen the trailer, I’m not sure. The plot change would have been a surprise akin to Psycho but that wouldn’t have saved the messy and somewhat lazy third act. 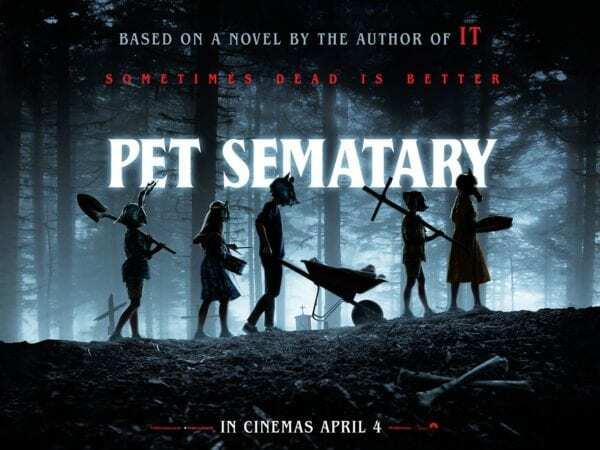 As much as there is to dislike about this new version of Pet Sematary, there is a lot to enjoy. At times it is visually stunning and the design of the Pet Sematary is exceptional. The dark filter with a hint of green makes for an unsettling scene and it feels like a genuinely frightening place. There are also a few good scares (although nowhere near enough), largely from Louis’ wife Rachel’s (Seimetz) memories of her sister Zelda – a character that terrified me as a child and does so now but for completely different reasons. Other than a few moments here or there, Pet Sematary is lacking in scares which is disappointing. The cast are good with John Lithgow standing out as their neighbour Jud and Jason Clarke as Louis adds a lot of realism and weight to his grief scenes. Whilst Amy Seimetz is great in the scenes she appears in, she’s in the film all too briefly to make an impact. The performance from Jeté Laurence as Ellie is extremely good and shows how good an idea it was to make such a major plot change. You genuinely like her character and to see what she becomes at the end is upsetting and heart breaking. By having an older child come back to life there’s more opportunity for interaction with the rest of the cast and a lot more physicality that can be brought to the role. 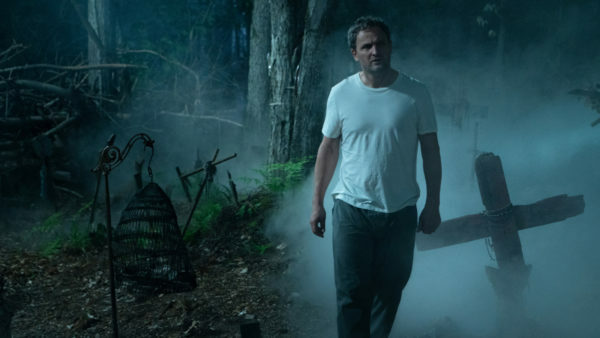 Ultimately this incarnation of Pet Sematary feels like a safe crowd pleasing horror, rather than the dark exploration of parental grief and despair found in the novel. 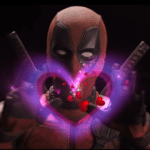 Whilst there are hints of these darker elements, the plot falls into the trappings of a traditional zombie-esque horror and so the potential for examining grief is lost. For me this was detrimental, but for some it may be exactly the type of horror film they’re looking for.